This machine has been designed to offer an ever-precise and reliable count of capsules, tablets and pearls of every size. 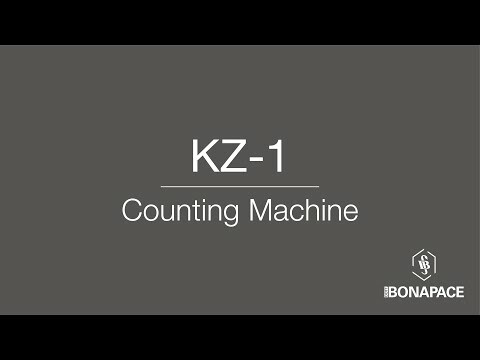 The KZ-1 electronic Counter by Dott Bonapace guarantees the utmost versatility in counting. It arranges of fixed speed for different sizes of the products to count and performing simple or multiple count from 1 to 999.999 pieces. The R&D electronic counter has a capacity of about 240-250 bottles per hour (by counting about 50 pcs.). It can be adapted to the different sizes of capsules, tablets and pearl through a simple manual adjustment and give the possibility to unload the counted products into a drawer or directly into bottles by a special device. Machine dimensions are 32 x 36 x 27h, cm and net weight is 18kg.